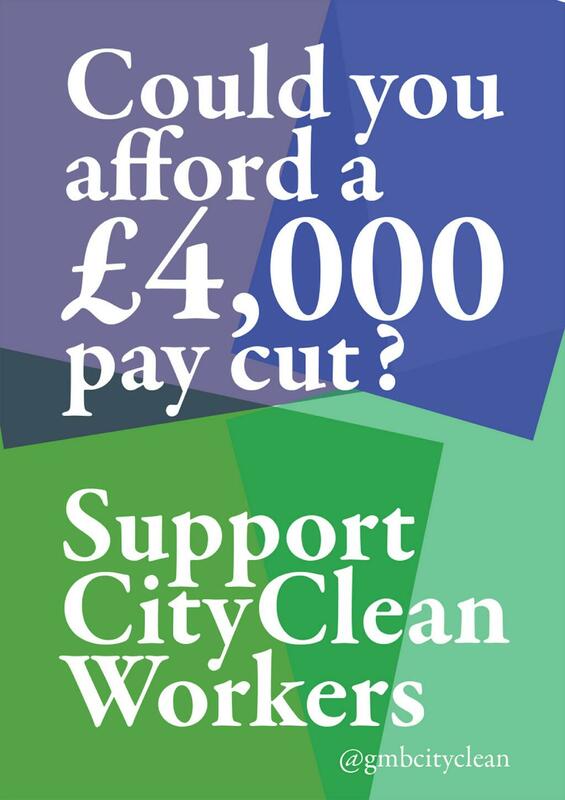 Support Cityclean Workers & Green Keepers! Refuse workers and street sweepers at Brighton & Hove Cityclean simply can’t afford the pay cuts that Brighton & Hove’s Green-led City Council is trying to force upon them. Take a pay cut or leave your job is no option. Despite being some of the lowest paid staff the Council employs, staff were told in May that they would lose up to £95 per week. That led to an unofficial two day strike, followed by a work-to-rule which has had widespread local support. 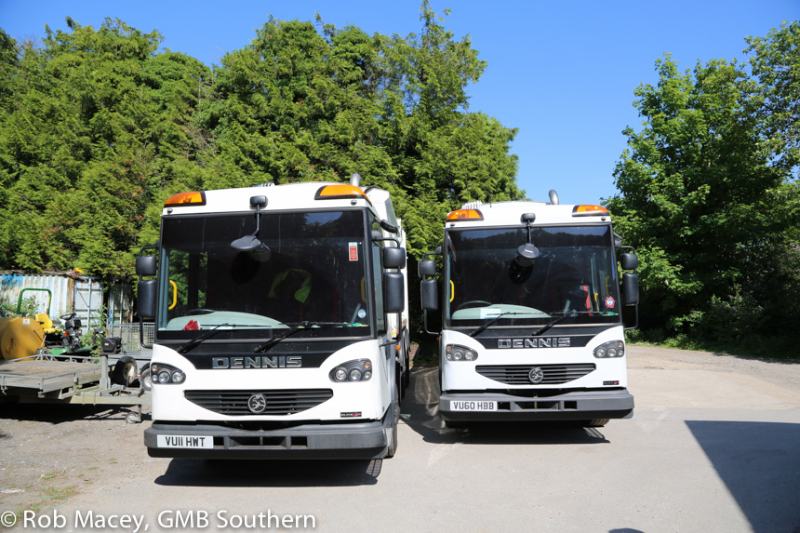 As Council Chief Executive Penny Thompson and Green Council leader Jason Kitcat continue to insist that these forced pay cuts are essential in order to bring the Council into line with gender equality rules, Cityclean workers have voted by an overwhelming 96% in favour of official strike action, on an 86% turnout. 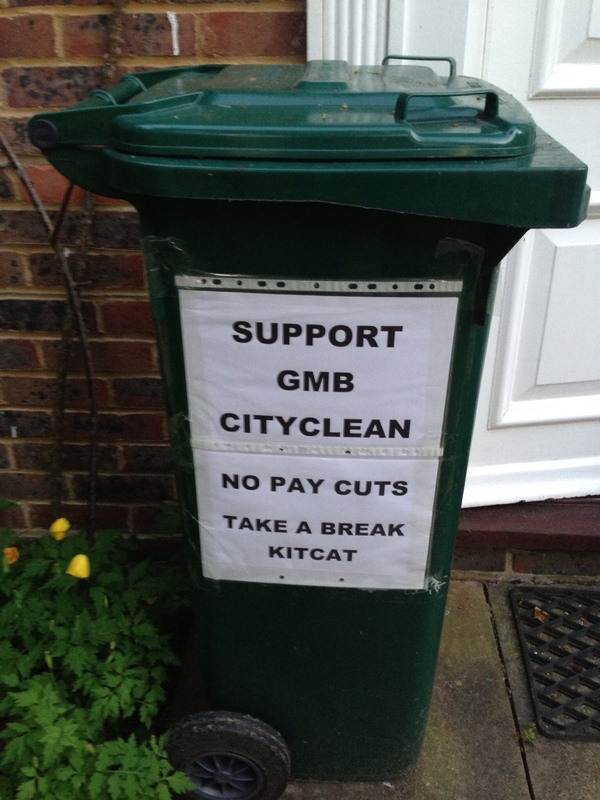 Consequently, the GMB trades union announced that Cityclean workers will be going on a 7 day strike from 14-20 June 2013, with a march through Brighton & Hove led by GMB General Secretary Paul Kenny on Saturday 15 June and an indefinite work to rule following the strike. “A 96% vote in favour of industrial action clearly shows that the workforce are determined to fight these unfair cuts…Whilst our members do not take strike action lightly, they have no option but to defend themselves from these savage cuts. At a meeting of the workforce this morning, they have personally asked me to thank the public for the overwhelming support they have received, with over 1,500 residents signing petition on our website and posters in support appearing in windows throughout the City” said Mark Turner, GMB Sussex Branch, speaking on Friday 6 June. Shockingly, even before the ballot result was known, evidence emerged that the Council is planning to use contracted agency workers as strike-breakers. Brighton & Hove City Council Chief Executive Penny Thompson repeatedly said: “The Council has a duty to maintain service provision, to minimise disruption caused by any industrial dispute”. The easiest way to do this would be to withdraw the forced pay cuts of up to £95 per week and sit down around a table with Cityclean staff, rather than waste taxpayers’ money on offensive scab rubbish depots and ruin the reputation of one of Sussex’s top tourist resorts. Subsequently, on Tuesday 11 June, Jason Kitcat made a commitment to the GMB trades union that Brighton & Hove City Council would not engage in strike-breaking activities. His email stated: “This administration will not sanction the use of agency or contract workers to do the regular work of legitimately striking Council staff whilst those staff are out on strike. 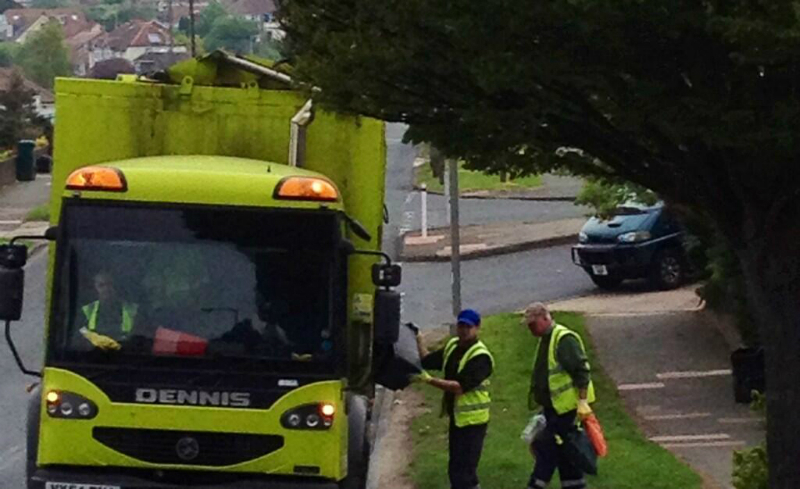 Accordingly, I am able to announce that all agency workers currently engaged in refuse collection and street cleaning will be withdrawn from service by 10pm on Thursday night, the day before the strike is due to begin, and agency workers will not be deployed in these areas during the strike week.” This has been welcomed by the GMB as “a small first step for the Council”. 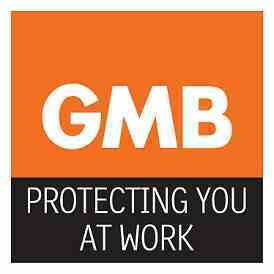 The GMB will now attend talks with the Council. 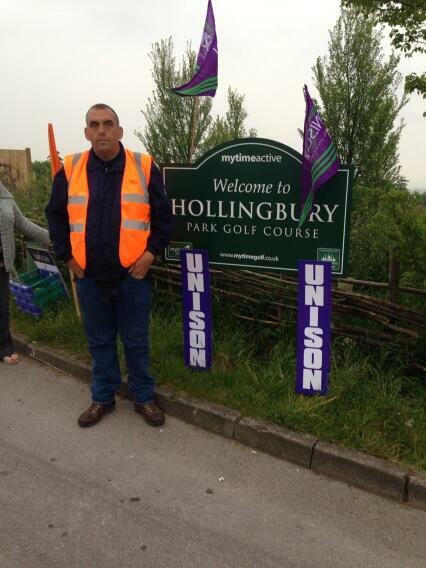 Local greenkeepers took strike action at Hollingbury Park and Waterhall public golf courses on Tuesday 11 June . Consistent, positive support for the picket line came from golfers, dog-walkers, allotment-holders, motorists and passersby, many of whom also wanted to support the Cityclean refuse workers and street sweepers in their dispute. 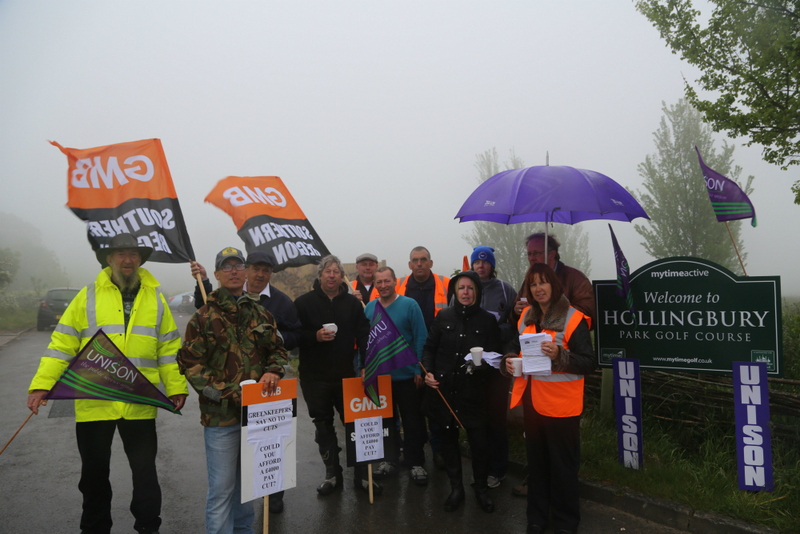 Almost all golfers arriving at the Hollingbury picket turned back, a formal “ladies” match was abandoned in solidarity with the greenkeepers, and one golfer who had started play before the picket began made a point of coming to apologise to the greenkeepers as he left. Golfers have consistently complained about plummeting conditions since “social enterprise” MytimeActive took over the operation and management of these courses in a three year let from Brighton & Hove City Council. The company has made minimal if any investment into these important greenspaces for Brighton & Hove and is now seeking to cut greenkeepers wages by 20% (average £4,000) and the workforce by 27%. Steve Price is the Chief Executive of MytimeActive. You can email steve.price@mytimeactive.co.uk to tell him what you think of these cuts. Defend our Greenspaces! Access to All! Hollingbury was on the map long before Brighton due to its important Roman fort. Once every local schoolchild would have an annual trip to this ancient monument, now many local children have never visited or heard of it, as so few greenkeepers mean the site cannot be fully maintained, so it’s difficult to work out the geography of the site. More greenkeeper cuts by MytimeActive further risk our valuable heritage. And how can Green-led Brighton & Hove City Council sit back and allow its tenant MytimeActive to spread chemicals on the course? That’s only necessary because 84 less paid staff hours per week mean there’s not enough time to cut the grass. Non-golfing areas now have fences and high wild grasses, both of which deter the public from using this Council-owned greenspace, meant for public enjoyment. 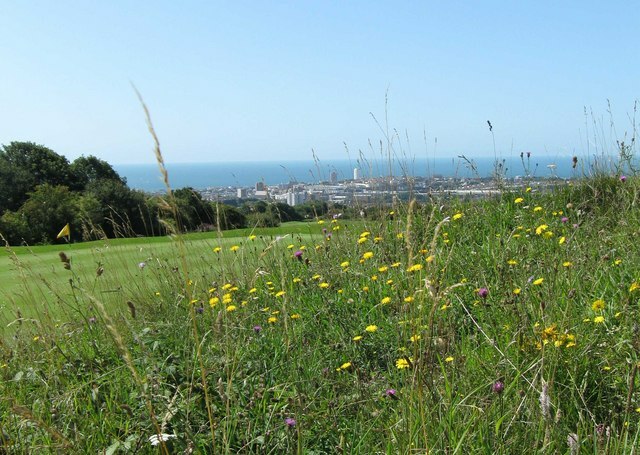 Email Green Council leader Jason Kitcat, via jason.kitcat@brighton-hove.gov.uk and Council Chief Executive Penny Thompson, via Penelope.Thompson@brighton-hove.gov.uk – to remind them that cuts to greenkeepers damage our golf courses & greenspaces and stop our access to them. Mytime seem to be trying to turn Hollingbury Park into an elite private course, most likely so they can further increase fees to local members, with charges having already increased dramatically during their let, despite worsening services, course overcrowding and fewer amenities. The junior members section at Hollingbury no longer exists and the Club has stopped actively seeking new members from the neighbouring Council estates. The Council-owned courses at Hollingbury Park and Waterhall have ensured that all people can play golf in Brighton & Hove. Golf has always been an ordinary sport in Brighton & Hove. We must not let it become ever more elite, as it is elsewhere in the UK. Keep golf as a sport with access for all. Support the greenkeepers. Their fight is our fight too! 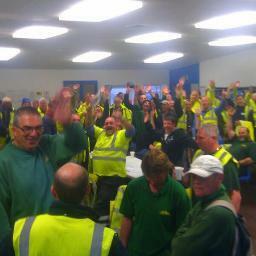 In addition, the Council’s home maintenance staff held a ballot on industrial action on Friday 7 June. So many unhappy staff suggests that there’s a major problem with leadership at Brighton & Hove City Council. Charles Harrity, Senior Organiser with GMB Southern said at Brighton Fringe on Saturday 11 May: “Give us your support and we’ll give you as much leadership and as much determination as we can possibly muster.” It looks like this is going to be tested in the coming weeks and months in Brighton and Hove. Support the Cityclean workers! Sign the petition against these draconian cuts, donate to the strike fund (immediately below main story) or to the GMB’s Regional Dispute Fund, and listen to the Cityclean workers themselves, as well as to a thumping speech from GMB Regional Secretary Paul Maloney. Pay should be equalised up, not trampled down. Council Chief Executive Thompson has suggested that the funding gap may be as low as £440,000, which could easily be funded by a cap on the salaries of the highest paid staff. As Christine Robinson, vice-Chair of Brighton, Hove and District Labour Party, has said: “For anybody here in this Labour Party who can actually condone an up to £4,000 a year cut to Council workers, I suggest you get up and leave now”. We agree! Speeches by Cityclean worker Rab McKenna and Christine Robinson of the GMB and Brighton, Hove and District Labour Party, filmed just after the two days of unofficial action by Cityclean workers. Background to the Cityclean dispute provided by Charles Harrity, Senior Organiser at GMB Southern and his colleague Rob Macey – Senior Organiser covering Political, Legal & Campaigns. This clip has them both speaking off camera, but is informative and worth a listen for some great quotes. The Q&A session gave some more background on the dispute, a short discussion of the divide and rule tactics tried by Green-led Brighton & Hove Council, ways to provide practical support for the Cityclean workers (the meeting collection was given over to the strike fund), and a message to Jason Kitcat direct from Captain Swing. Solidarity greetings, support & admiration from Unite Community Organiser and journalist Ellie Mae O’Hagan to Brighton & Hove’s courageous Cityclean workers.